Pakawaste supply & manufacture a range of balers for specialist uses. We offer our very own Pet Balers and Vertical ExtractPacks. Find out more below. 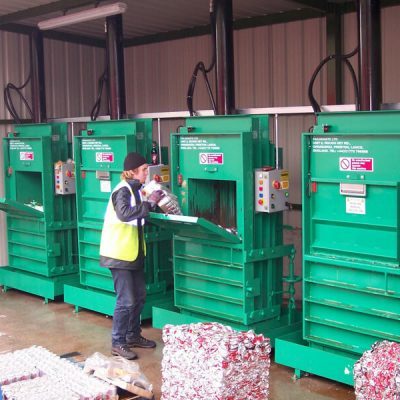 Our specialist balers provide efficient & reliable handling of waste materials, such as plastic bottles and aluminium cans. Within our range of balers, we have engineered our very own pet baler & vertical extractpack. 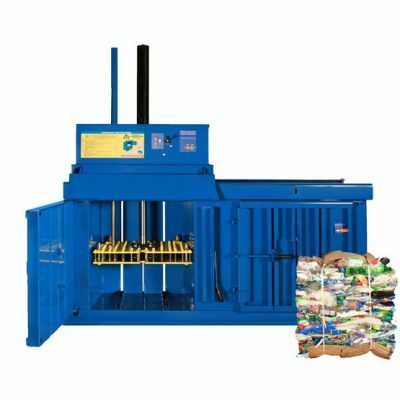 The Pet Baler is a baler which provides sustainable waste handling of plastic bottles at an extremely high compaction rate. Our Vertical Extractpack is the first baler of its kind. It combines both bailing and draining of beverage products such as aluminium cans, which works 7 times faster than manual produced work. Click through to our products below for more information, if would like to find further details about any of our waste handling equipment, please contact Pakawaste today.